Barberini, founded by Pietro Barberini in 1963, today is the world leader for production of optical glass solar lenses, with exclusive and sophisticated technical features, used by various luxury brands. 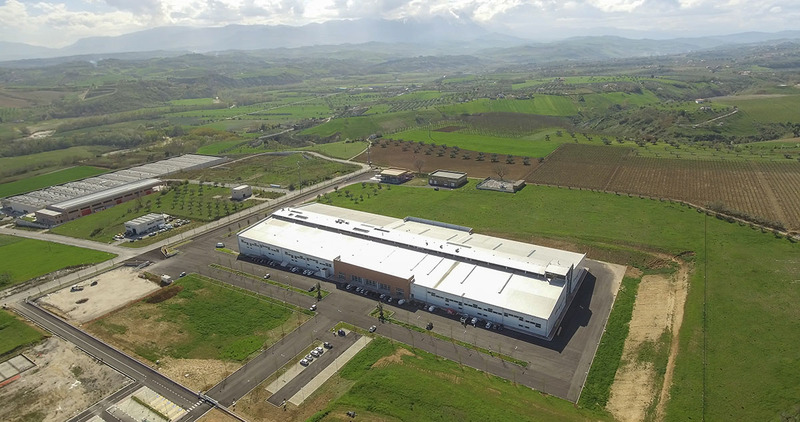 The company controls the entire production chain, from the raw materials to the finished lenses, with cutting-edge industrial sites in Italy, a glass melting plant in Germany, and advanced technologies to produce polarizing lenses for sunglasses. In Italy, Barberini employs 450 people and has an annual turnover of around 85 million euros with 10 million pairs of lenses produced. The company, recently acquired by Luxottica, has just inaugurated their new and modern factory in Città Sant'Angelo (PE). The building has a total surface area of 25,000 m² and is highly sustainable. Its structure is made of laminated wood and the use of concrete is very limited, to allow easy recycling of materials in the case of changes to the structure, in terms of total or partial expansions. The large windows allow a considerable amount of natural light and let the workers to enjoy the view of the green hills and the surrounding mountains, which contributes to ensuring a high level of internal well-being for the building's occupants. Finally, the mechanical and electrical systems are highly efficient and do not produce local CO2 emissions, thus effectively eliminating the impact of the factory on the surrounding environment. 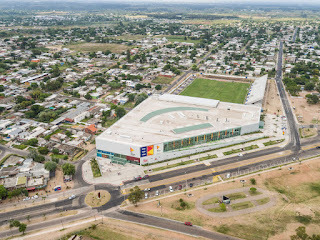 In designing the new factory flexibility was key: the building and systems were designed to respond intelligently to present and future needs of production and logistics, so as not a limit to the company’s activities. The wooden structure and having the mechanical and electrical systems in plain sight, allow for future modifications, while ensuring continuity of production even in case of breakdowns or malfunctions. Even the HVAC plant room, built in a lofted space under the wooden roof, allows maximum flexibility for the air conditioning and air treatment system. Its central position helps optimize the length of ducts and pipes, reducing pressure losses and thus maximizing overall system performance. Paolo Di Santo, Alpiq Italia, explains: "The main challenges faced in this construction site concerned the construction of the plant room. In order to provide an orderly solution and have adequate maintenance and operating spaces, we had to find and provide a detailed layout for the heat pumps, chillers, AHUS, and all the piping. " The air treatment inside the plant is guaranteed by units that move about 600,000 m³/hour of air, of which 250,000 is external air, which is either heated or cooled before being introduced into the factory. This requirement is met by an air conditioning system that has a heating capacity of 3,000 kW and a cooling capacity of about 8,000 kW, distributed through a network of pipes at various temperature levels, depending on the operational needs of the production equipment. 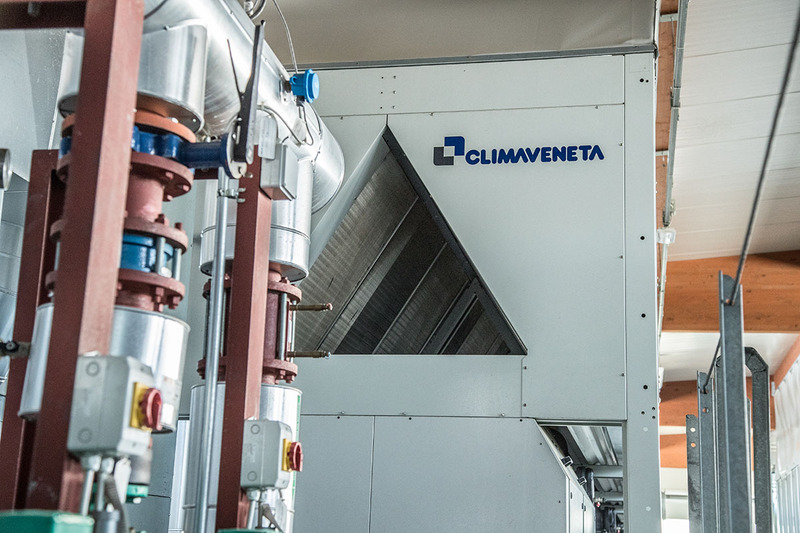 For the HVAC system, 2 heat pumps have been installed with partial heat recovery FOCS-N/D/LN-CA/S 4822, 2 chillers with partial heat recovery FOCS/D/CA/S 6603, and 1 air cooled chiller NX/K/S 0714P, all Climaveneta brand.